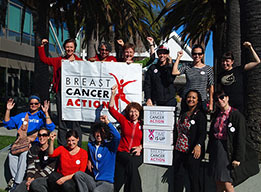 Breast Cancer Action has never been your typical breast cancer organization. Since our founding 26 years ago, we’ve been challenging the mainstream approach to the breast cancer epidemic—and standing up to the cancer industry. Will you donate $25 today? We will never take corporate funding that could compromise our independence or make us think twice about calling out industry giants who pollute our bodies and profit off our illness. So you can trust that we will always put women’s health first. Too often, mainstream approaches to addressing breast cancer focus on individual “lifestyle choices” and ignore systemic inequities. At BCAction, we are very clear that the breast cancer epidemic is a social justice issue, reflecting systemic inequities. for women living with, dying from, and at risk of breast cancer? We’re pushing for the passage of the Lymphedema Treatment Act with our partners, because too many women with lymphedema (a common and debilitating side effect of breast cancer treatment) can’t afford treatments. 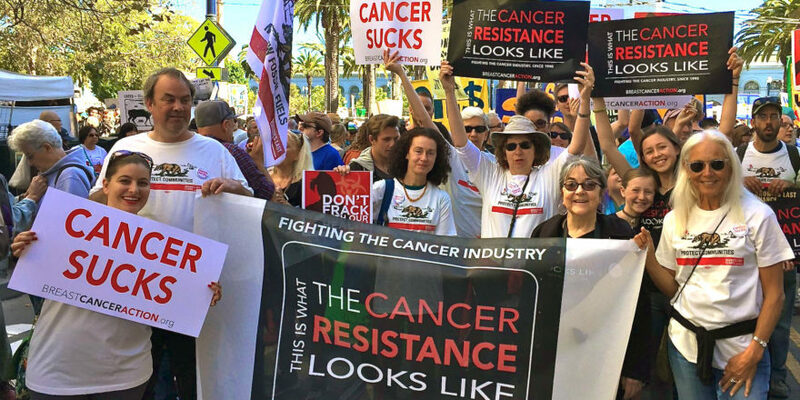 We’re agitating for a ban on fracking and other extreme extraction methods that rely on known human carcinogens and endocrine disruptors because this toxic industry is a threat to the health of all of us, and people of color and low-income communities are impacted first and worst. We’re expanding our Think Before You Pink® campaign, because mainstream breast cancer culture too often alienates and silences women, including those with metastatic disease. We do not settle for incremental changes that only benefit the privileged few. We are working for changes in how we prevent, diagnose, and treat breast cancer that will benefit all women, no matter who they are or where they live, work and play. We rely on our grassroots supporters, NOT corporate polluters, to fund our work. Please donate $25 today. We have a lot of work to do to achieve health justice for all women at risk of and living with breast cancer. But we’ve shown again and again that when people like you and me join together to demand change, we can win.